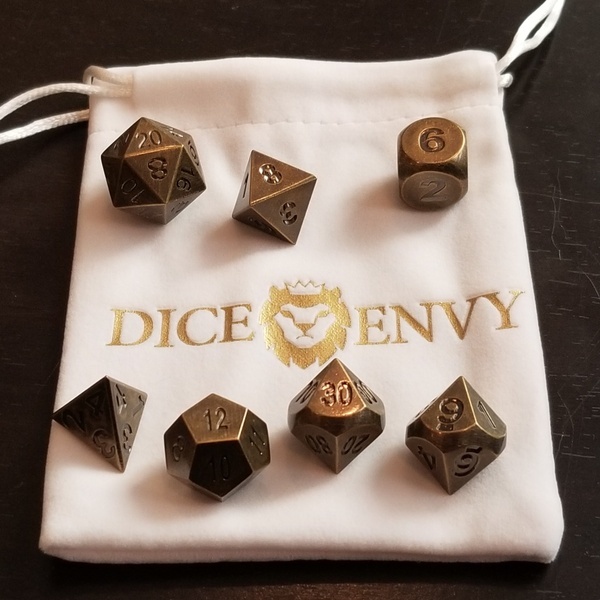 Enter your email address below to receive a notification when Dice Envy starts accepting new sign-ups! 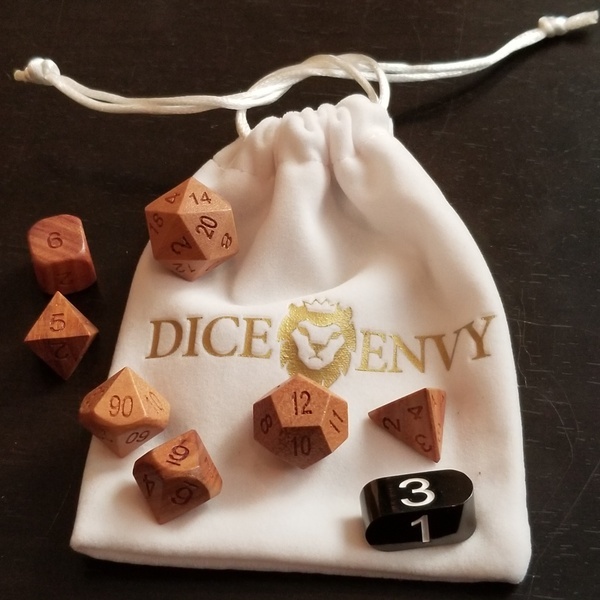 Enter your email address below to receive a notification when Dice Envy is accepting new sign-ups again. Your box will ship on the 30th of every month. Please order by the 15th to get the current box. We love dice. 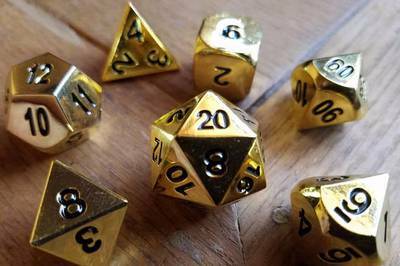 It doesn't matter if they are wooden dice, metal dice, machined or molded, they are the best. 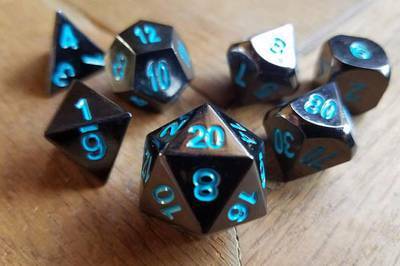 Dice Envy is the answer to your dice wants and needs! 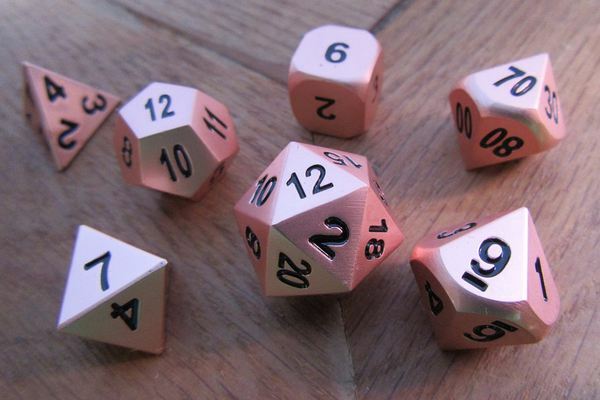 This box is for anyone that wants to have rare and interesting dice to collect and enjoy. Sampler Dice Box : One of our specialty dice. Perfect for getting a feel for our products. 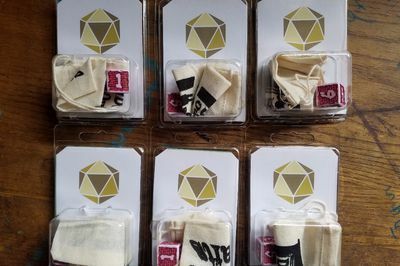 Basic Box : A set of common (but cool) dice plus one of our monthly specialty dice. Perfect for hording pretty and affordable dice. 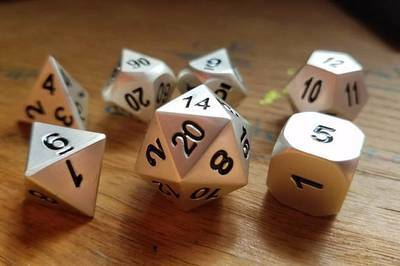 Original Dice Box : A full set of specialty dice. Perfect for people that want rare and limited run sets in their collection. 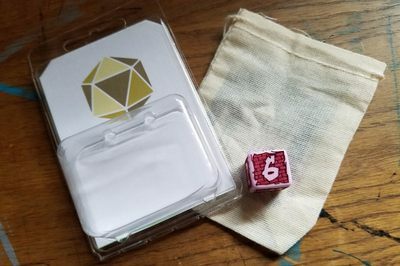 This recent box contains a wooden set of dice plus a specialty dice that we eventually successfully kickstarted. 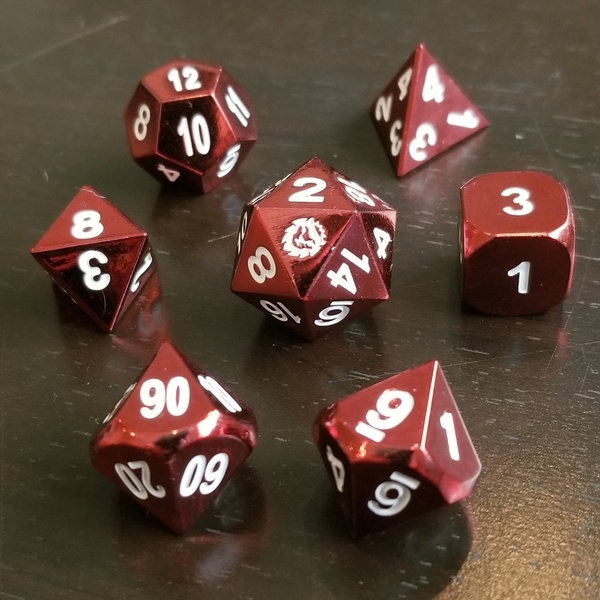 This recent box contains a lightweight aluminum set of dice. All subscriptions now come with free DLC mini adventures. This set was especially made for our subscribers. They are a heavy metal (zinc) with our logo branded on the #20.